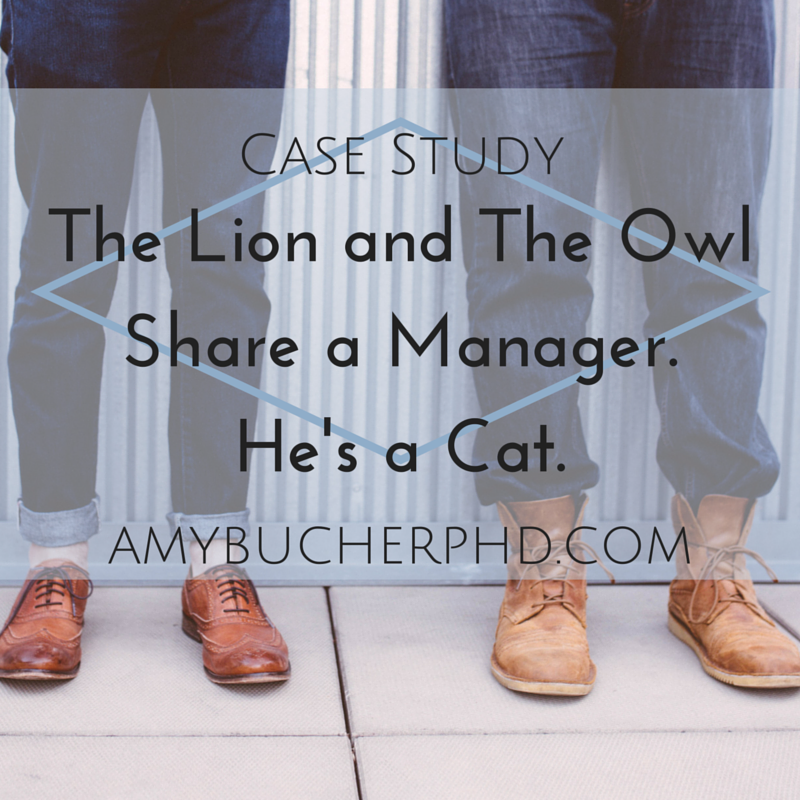 Case Study: The Lion and The Owl Share a Manager. He's a Cat. 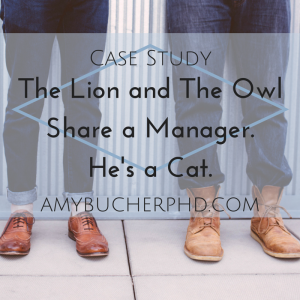 | Amy Bucher, Ph.D.
Case Study: The Lion and The Owl Share a Manager. He’s a Cat. I have a few general criticisms of personality tests in the workplace, many of which stem from people’s interpretation of them as deterministic diagnoses. Too often, I think people take personality tests and use the results to defend unproductive behaviors (“it’s classic ENTJ, what can I do?”) or as a reason not to work at a professional relationship (“we’re too different”). Another issue that happens when these tests are administered in a work setting is that the results are never really discussed at all. They disappear into the ether, instead of becoming a helpful tool to guide effective collaboration. 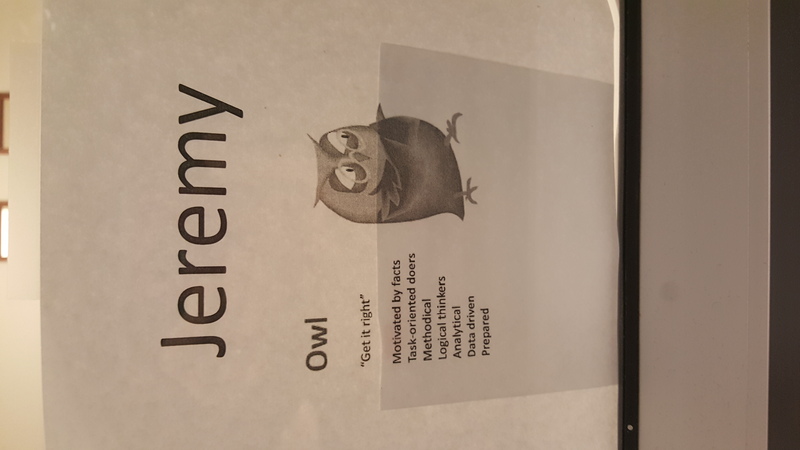 I was recently visiting a company’s offices and noticed that the employees there had taken a workplace personality inventory. The outcome of whatever test they took was an animal (my pal Google suggests it might have been the MBTI, where the hard-to-remember four letter results are sometimes assigned animal proxies). Like the Lion, the Owl is task-focused, but much more likely to be working diligently on the problem rather than directing others through it. This didn’t necessarily fix the issue, but it reassured both parties that they were approaching the task with a shared goal of success and that the perceived disconnect was due to different styles. Sometimes one person might deliberately work in another’s style, or communicate differently (for example, more frequent updates from the conceptual person to the detail-oriented one) to help the process go more smoothly. 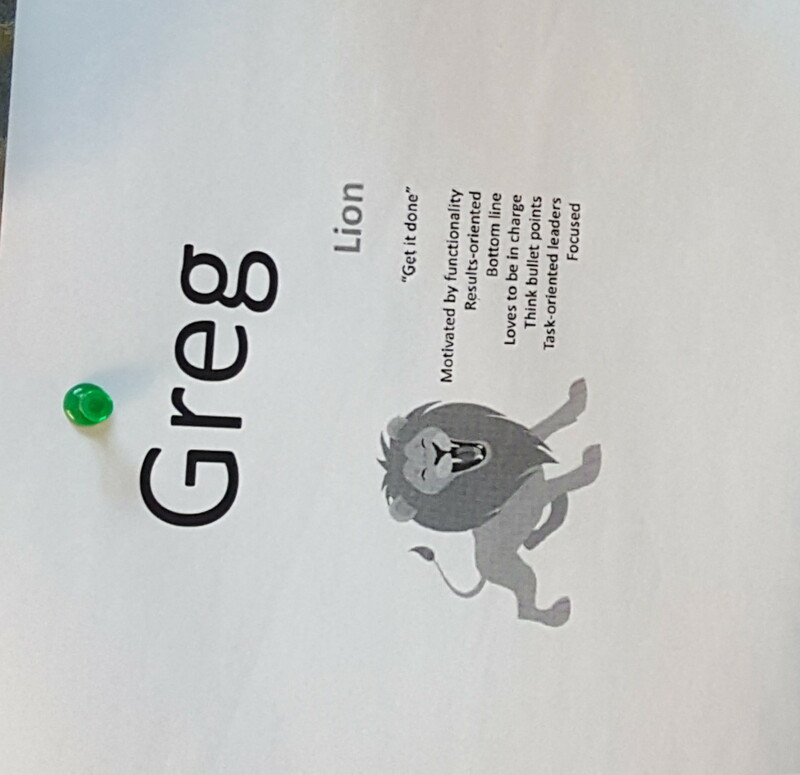 I don’t know, unfortunately, how the animal types arise in conversation and collaboration in the office I visited. 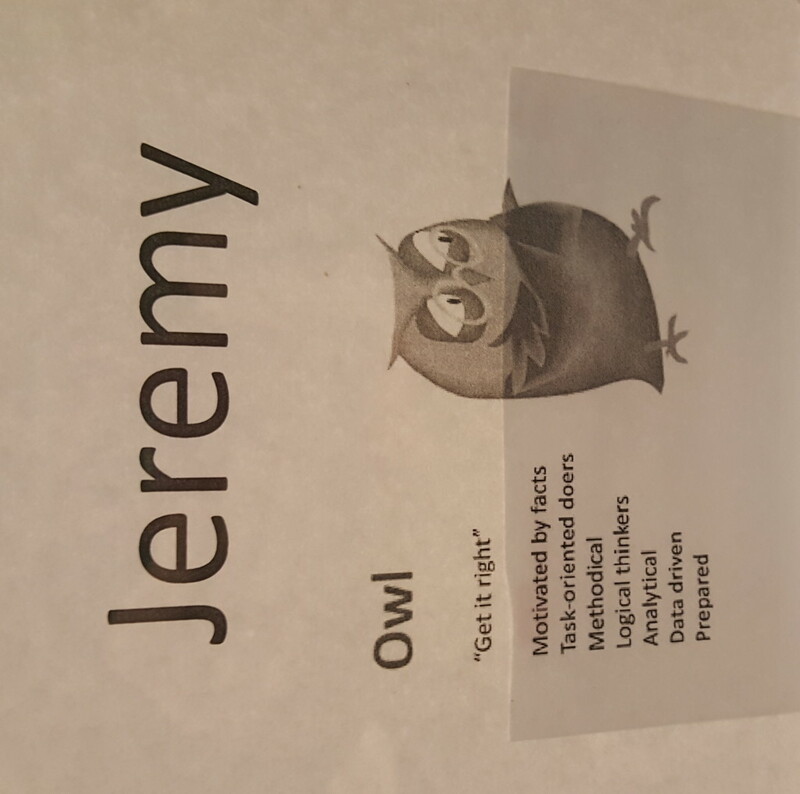 But I was impressed that they at least took the time to create visual shortcuts colleagues could refer to if they needed to use the results to work together. These sorts of enduring artifacts help to ensure that the company’s investment in using a personality tool has some impact on subsequent employee experience.